Bruce C. Robertson, Jr. is a co-founder and Partner of Philadelphia Private Capital, LLC ('PPC'). He is also a co-founder and principal in the firm's proprietary private equity funds the Intrepid Real Estate Opportunity Funds. 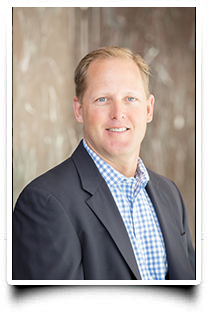 His hands-on experience in the commercial real estate market allows him to serve clients needs in all aspects of financing, leasing, sales and other more complicated consulting projects. He is a graduate of Penn State University with a BS in Marketing and a licensed PA Real Estate Salesperson. With a very broad and deep network within the Philadelphia community of investors, lenders and commercial property owners and developers Bruce is regarded as a successful businessman, community leader and entrepreneur. Bruce currently serves on the Continental Bank Advisory Board, the board of the Philadelphia Aviation Club and the board for Kids on the Hill, a non-profit group benefiting Police Athletic League (PAL) children. He is an avid golfer and saltwater fishing enthusiast and a lifetime Philadelphia resident.